AL RAHMAH IS A REPUTABLE PROVIDER OF HOME PHYSIOTHERAPY SERVICES IN DUBAI AND THE UAE. OUR SPECIALISED SERVICES FOR PHYSIOTHERAPY AT HOME AIM TO HELP INDIVIDUALS REGAIN CONTROL AND USE OF THEIR BODY FOR MAXIMUM MOVEMENT. OUR HOME PHYSIOTHERAPY SERVICE INCLUDE ASSESSMENT, FUNCTIONAL DIAGNOSIS, TREATMENT PLANNING, INTERVENTION, AND COMPREHENSIVE EVALUATION OF THE PATIENT. Our service is designed to cater to the conveniences of our patients. A qualified physiotherapist from Al Rahmah will go to your home to discuss your problem, general health, and goals. The physiotherapist will then physically examine you and create a treatment plan based on your specific needs. This treatment plan is generally started during the first visit. The assigned physiotherapist might also liaise with other medical professionals to give you a holistic, multi-disciplinary approach and ensure your full recovery. Physiotherapists at Al Rahmah have years of training under their belt. They have learned expert techniques that specifically work on a person’s joints, muscles, ligaments, and tendons. 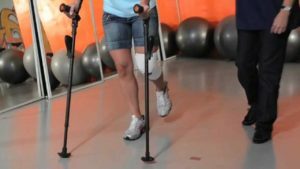 Patients who had an injury or an operation usually suffer from stiff joints, muscles, and ligaments and tendons due to prolonged physical inactivity. The nerves may also suffer damage and become less effective because of scar tissues that might surround them. Expert manual therapy and massage service can restore movements in the joints and muscles and the mobility of your nerves. In addition to exercises, our treatment plan can help prepare your physique to handle and resist the stresses of doing daily activities. 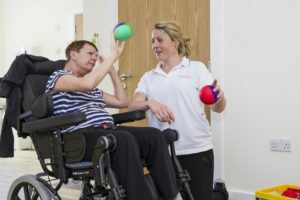 People with neurological conditions often require physiotherapy from specialists to manage and to prevent their condition from worsening. Our physiotherapist will visit you at your Dubai home and provide the therapy you need to improve your overall body function and quality of life. Rheumatic disease often consists of inflammation in the joints, muscles, and other connective tissues. Regardless if it is concentrated in one area or more, this disease can significantly minimize body function and mobility. During the initial visit of the physiotherapist to your home or work, they will perform a thorough assessment of your mobility and walking, muscle strength, joint movement, posture and overall body function. Consequently, a treatment plan will be designed in line with goals to improve your general function and mobility. The plan may include exercise programs, therapeutic massage, and mobility practice. Al Rahmah is also home to physiotherapists in Dubai who are specially-trained to work with children, adolescents, and young adults. Our service includes physical therapy and a mix of therapeutic exercise, assistive technology, and play/movement activities to help enhance the motor and physical functions of the kids in their care. In addition to this, Al Rahmah provides and fosters an environment where you can expect personalised care that not only focuses on the needs of the patient, but also on the needs of their family. Al Rahmah also specialises in providing physiotherapy specifically for women with conditions that developed during or after pregnancy. These may include pelvic girdle pain (PGP), problems with the pelvic floor muscles, back pain, third- or fourth-degree perineal tears, incontinence, and even carpal tunnel syndrome. Al Rahmah also provides physiotherapy care for newborns who are afflicted with conditions like talipes equino-virus or Erbs palsy.